Idyam is a new arrival in the UK. Built in China and sold through the Computer Warehouse, its product range consists of three iPod docks – two of which have valve amplification built in, plus the larger Apollo and Zeus amplifiers. The Zeus tested here uses four 12A7 valves and four 6L6 valves in a relatively conventional circuit to produce a healthy 40 watts into eight ohms, albeit at a rather high 10 per cent THD. Four and eight ohm outputs are provided on the rear panel to assist with impedance matching speakers and the terminals themselves are sturdy three-way types able to handle most cabling. Three inputs are fitted and, as might be expected for the price, all are line level with no onboard phono stage. The fit and finish of the unit is good – the controls feel solid and the quality of materials used throughout is pleasingly substantial with a thick acrylic front panel, chrome top plate and brass fins down the side. There is no cage to cover the valves, Idyam adopting a system of acrylic guards and a metal top cover instead that, whilst aesthetically pleasing, ought not to be considered child-proof. A novel feature is the use of two small VU meters on the front panel. They certainly add visual interest to the product, but do not appear to be remotely accurate during listening. Our sample was supplied with an Idyam 'Blue' iPod dock which will be supplied free of charge to early purchasers of the Zeus. The amp achieves good real-world listening levels and shows no signs of distress driving a pair of Bowers and Wilkins 705s. Like most valve amplifiers, it benefits from a few minutes warm up before serious use and afterwards proves to be an engaging listen. Simple pieces of music are presented with a natural tone and sense of space that is hard not to like. John Law Burned Down the Liquor Sto' performed live at the Down from the Mountain concert is superbly atmospheric and there is a pleasingly three-dimensional sense of the performers and their position relative to one another. Vocals are also reproduced well with a sense of realism and detail, but equally they are not separated from the instruments as if being offered up for dissection. There is also an excellent sense of presence and authenticity to instruments coupled with a very honest and real decay to notes that helps complete the sense of being with the musicians. Whilst not a rhythm machine in comparison to some similarly priced solid-state designs, the Idyam reproduced the infectious get up and go of ZZ Top's Tres Hombres very well and even made some sense of the extraordinarily dense live recordings, as well as capturing much of the frenetic nature of the performances. Switching to more recent and aggressive music begins to display some of the ultimate limitations of the Idyam, mainly in respect to the bass performance. 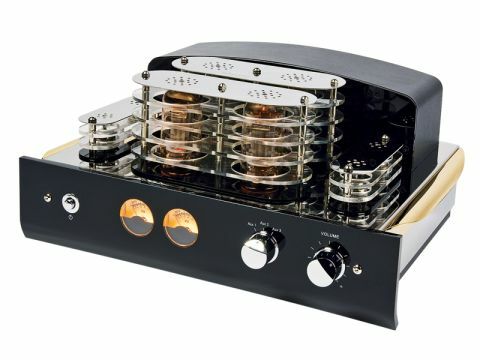 And while there is no shortage of absolute bottom end, there is a tendency for it to be somewhat lacking in resolution – if you are willing to spend a little more on a valve amplifier, better bass performance is available. Equally, the timing which is solid enough with more relaxed styles can come across as a little too relaxed as music increases in tempo and removes some of the vibrancy of the recording that other amps can bring out more successfully. For those whose listening tastes are more refined, however, there is much to commend the Idyam's sonic performance, especially given its good build quality and its extremely competitive price. Listeners seeking a more palpable sense of excitement may find it a little too laid back, however.